​Welcome! Looking for information on conservation programs? Visit our links above to find out the opportunities available in state and federal programs. Below, we have the most recent news regarding conservation programs and ranking deadlines.Be sure to like us on Facebook, too! Apply for conservation and technical assistance with the State Cost Share Program! This financial and technical assistance program assists individual agriculture producers in the development and implementation of their agriculture water quality plans, which are required under state law. Any person engaged in agricultural or silvicultural operations is eligible to apply through the local conservation district, which oversees the installation of best management practices. The State Cost Share program gives a high priority to animal waste related problems and agricultural district participants where pollution problems have been identified. The best management practices approved through the State Cost Share Program help reduce animal waste nutrients, prevent the loss of topsoil, and minimize sediment and other pollutants to Kentucky’s streams, rivers, lakes and groundwater supplies. Practices eligible for cost share are agriculture and animal waste control facilities; streambank stabilization; animal waste utilization; vegetative filter strips; integrated crop management; pesticide containment; sinkhole protection; pasture and hay land forage quality; heavy use area protection; rotational grazing system establishment; water well protection; forest land and cropland erosion control systems; closure of agriculture waste impoundment; on-farm fallen animal composting; soil health management; precision nutrient management; strip intercropping system; livestock stream crossing and riparian area protection. Funding for practices will be approved by the Soil and Water Conservation Commission and the Kentucky Division of Conservation, located in Frankfort, as funds are available. Before applying in this program, landowners will need to have (1) an updated Ag Water Quality Plan on file and (2) have a site visit by our District Conservationist. If you're interested in applying in the State Cost Share Program, give us a call today! And don't forget that if you apply for Pasture Renovation through State Cost Share Program and aren't approved, your application is rolled over into our Local Cost Share Program! Around the middle of March, Monarch butterflies (Danaus plexippus) usually begin to mate and often start moving around in their overwintering sites. As the days grow longer and winter comes to a close, they become more and more active and leave their Mexican or Californian roosts to fly north and east looking for milkweed plants on which to lay their eggs. These Monarchs have already survived a long southern migration dodging hungry predators and many other obstacles. They are the only Monarchs left that can produce a new generation; but if they return too early, before the milkweed is up in the spring, they will not be able to lay their eggs and continue the cycle. Female Monarchs lay eggs on suitable milkweed plants they find as they fly and then die. Soon, the first spring caterpillars hatch and change into the familiar orange and black adults. Since each female lays hundreds of eggs, the total number of Monarch butterflies increases throughout the summer to start the journey south again in the fall. The US Fish and Wildlife Services (USFWS) has recently been petitioned to list this north American butterfly due to habitat loss, specifically the loss of native milkweeds. NRCS’s role in applying sound conservation to private lands uniquely positions the agency to be able to influence the plight of this beautiful butterfly. Many USDA programs that encourage planting of native plants for pollinators such as the Environmental Quality Incentives Program (EQIP), Conservation Stewardship Program (CSP), and the Conservation Reserve Program (CRP) may benefit habitat that supports Monarch butterflies. In his late teens, Larry raised strawberries on the farm. His life moved away from farming at 17 when he followed in his two brothers' footsteps and joined the Air Force. For six years, Larry was stationed out of Little Rock, Arkansas where he worked with the mobile support systems out of the Military Airlift Command. After his military assignment, Larry finished college and worked for the US Forest Service Civilian Conservation Corps. After a long career with the Forest Service, Larry retired a few years ago. Larry grows berries, grapes, and vegetables, and now, thanks to the USDA-Natural Resources Conservation Service (NRCS) Environmental Quality Incentives Program, Larry has a new seasonal high tunnel to use as what he considers a learning center. The tunnel is used to raise fruits and vegetables. Farming comes with many challenges, but Larry appreciates each one. He runs the farm on his own and occasionally has the help of his “student” veteran farmers. He has worked with the local government and Grow Appalachia program to establish a local farmers market and processing center. Larry continues to work with the Growing Warriors project to establish additional markets. His advice to those who want to get started farming is, “You can learn from both good and bad so don’t give up.” Larry is a member of the Disabled American Veterans (DAV), the American Legion, Growing Warriors, and Kentucky Proud’s Homegrown by Heroes. He looks forward to expanding his operation. To find out more about opportunities for beginning farmers and veteran farmers, visit your local USDA Service Center. Or visit our website to Get Started with NRCS. 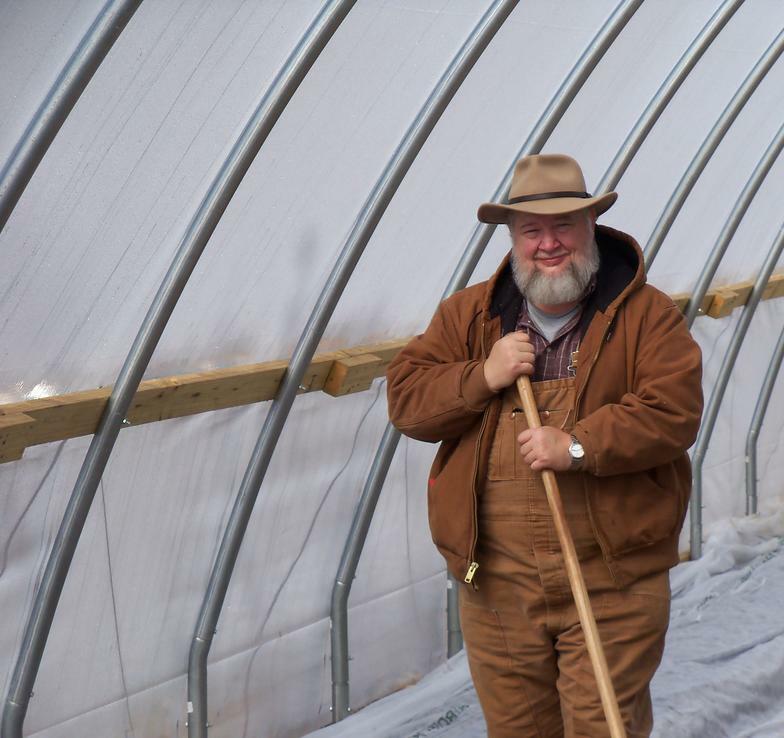 Larry King, landowner and cooperator with NRCS using a seasonal high tunnel. The Whitley County Conservation District is proud to announce approvals in its Local Cost Share Program. This program, in conjunction with the Kentucky Soil Erosion and Water Quality Cost Share Program, assists landowners with implementing conservation practices on agricultural lands. Through the Local Cost Share Program, individuals who previously applied for pasture renovation assistance in the state program, but were not approved, were given a second chance at receiving financial and technical assistance from the Conservation District. By renovating pastureland, we can improve the quality of pasture and hay land, as well as groundwater. The Conservation District has approved pasture renovation practices on over 177 acres in Whitley County and plans to disperse over $25,000.00 in financial assistance through funds provided by the District and grants from the Division of Conservation. Applications for the Kentucky Soil Erosion and Water Quality Cost Share Program are accepted on a continuous basis in our office, but the practices available and ranking deadlines will be announced once each year on the state level by the Kentucky Soil and Water Conservation Commission at the Kentucky Division of Conservation in Frankfort. Be Forest Fire Hazard Season Aware! Before conducting any outdoor burning, citizens should check with their local fire department and/or fiscal court to find out about restrictions and local ordinances. 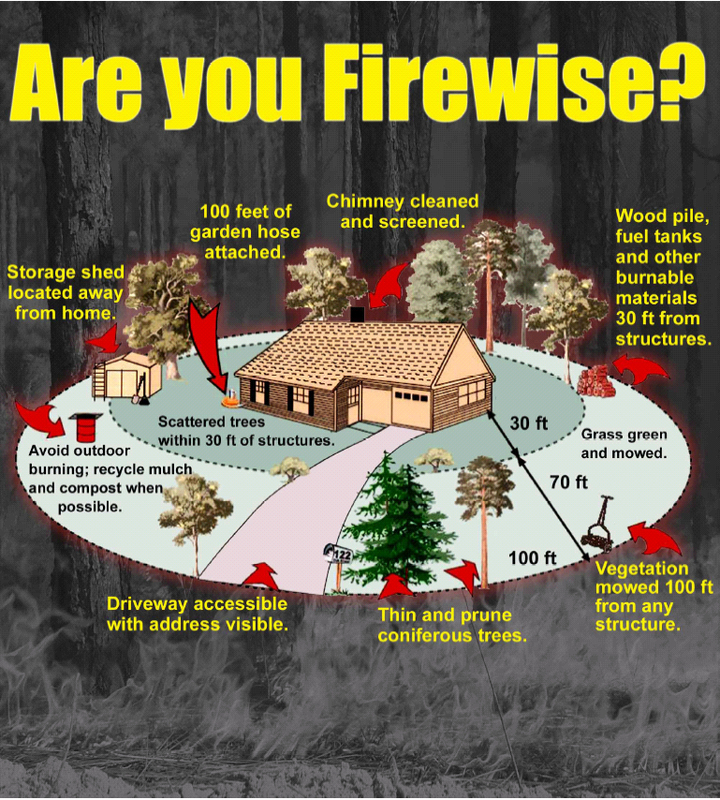 To find out more about being Firewise, click the photo above.